The latest from Quarkspace is yet another in the Spacefolds series of all-improvised instrumentals. And a fine set it is! Quarkspace have created some wonderful composed songs, but excel as a tightly knit improv unit and the Spacefolds series exists to showcase this side of the band. The disc opens with "Sheep Farm". There's a clear sense of rhythm, and the percussion and bass set a steady and prominent pace while the guitars and synths do their exploratory magic. There's just barely enough here to make this dancable, but trippers can relax, secure in the knowledge that they can sit back, close their eyes, and tag along for the journey. "Sturm Und Calm" is similar though there's some very cool synth lines at the end that sound like an old dark Van Der Graaf Generator bit. "Bonzo's G.S.B." is more dancable, a bit funky, even with a bit of a cosmic lounge feel at times, but is also one of the more deceptively busy tracks on the disc. Multiple keyboards, synths, and guitars occupy themselves seemingly in their own world, yet it all comes together to create a controlled and cohesive whole, the hallmark of any great improvisational unit. Another highlight track is "D.O.B.H. #1", a cool freaky electronica and guitar tune. The band tosses out the rhythm on this number in favor of freeform space meandering, reminding me of some of the great guitar/electronic combinations Ash Ra Tempel did so well in the 70's, but with the distinct Quarkspace sound. Finally, Quarkspace has several times in the past incorporated techno influences into their music and "Funkpalast At Brian's Wormhole" is probably the most overt example I've heard yet. Now the only reason I never explore techno as a genre is because it's so singly focused on the techno beat. Pound that dancefloor! Quarkspace, on the other hand, utilize techno as an influence and make it an element, albeit a strong one on this song, of a larger whole. And the result is a totally funky space groove. In summary, the Quarkspace trademark sound hasn't changed, but the band continues to evolve as an ensemble of musicians and these are some of their best improvs to date. 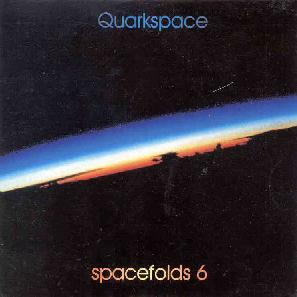 Quarkspace have major crossover potential as this music would easily appeal to spacerockers, progheads, and all manner of electronica fans. Also note that the production and sound quality of Quarkspace recordings is fantastic and a headphone immersion into this disc will be rewarded many times over. You can visit Quarkspace at their web site. Contact via snail mail at Eternity's Jest Records; PMB 212; 1487 W. Fifth Ave; Columbus, OH 43212.